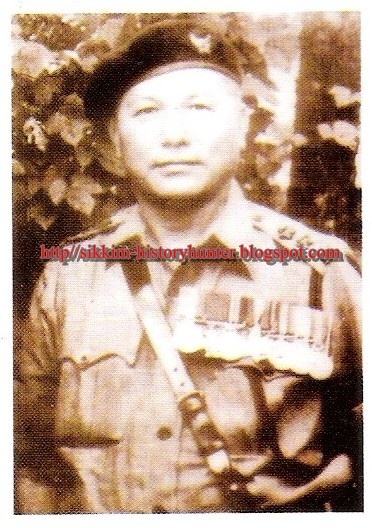 Rifleman Ganju Lama was born on 8th May 1923 at Sangmo village in Southern Sikkim. His father Late Kinchok Bhutia was a Mandal of the village and his mother Ninzem Bhutia was a pious Buddhist. The real name of Ganju Lama was Gyamtso. Since his childhood Ganju wanted to join army. He was greatly inspired from his elder brother who was also an army in British India. When young Ganju joined the British army the Second World was at its pinnacle. The Great War had invited a huge devastation to the British Empire as well. To tackle the situation of scarcity in the British force, the British Indian Government appointed officials known as Gallawals in various parts of Sikkim. The main task of these Gallawals was to provide eligible people for the British army. Young Ganju Lama was then at Singtam Bazar when he met a Gallawal named Jit Man Limbu. It was the latter who took Ganju to Ghoom at Darjeeling from where he was appointed as a rifleman in 7th GR on 27th July 1942. 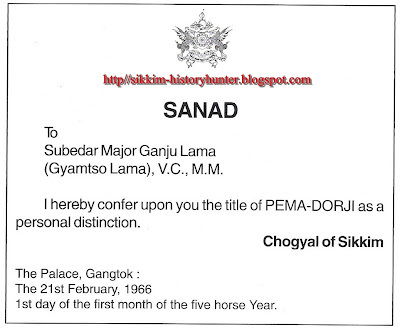 Rifleman Ganju Lama was a proficient in handling anti-tank PIAT gun. It was in the scuffle against the Japanese on 17th May 1944 which is also known as Battle of Imphal-Tediem Road, he had been able to demolish a Japanese tank from a distance of 60 feet. On 12th June 1944, when the Company of Ganju Lama was at a place called Ninthokhong (Burma) a fierce battle took place between the British and the Japanese. It was in this battle the Sikkimese son Ganju showed his real courage and reached the foe’s area amidst to the frequent bombard from the opposition. While heading towards his enemies side he was sternly wounded and had broken his left wrist. But, without caring much about his life and his wounds Ganju knock down inestimable tanks with hand grenades. 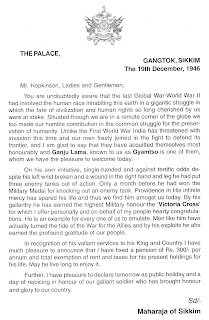 "The King has been graciously pleased to approve the award of Victoria Cross to No.78763 Rifleman Ganju Lama, 7th Gurkha Rifles, Indian Army". Sikkim is always proud of You…..!!!! 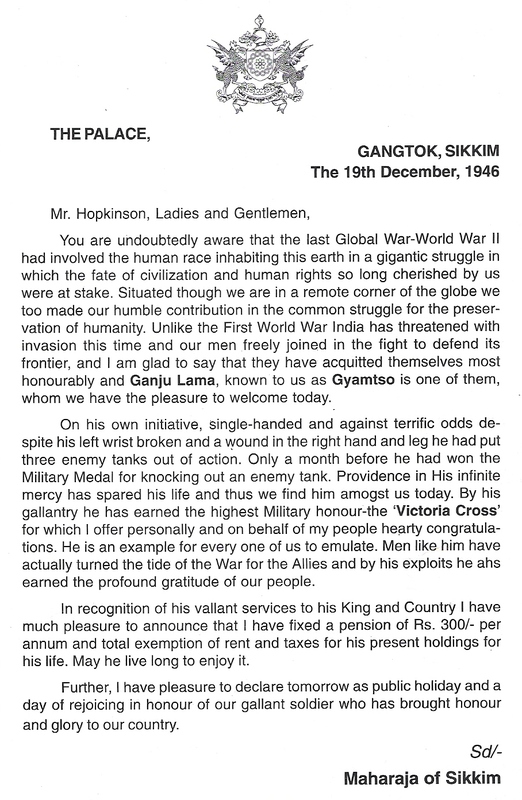 Pema Dorjee the highest Civilian Award of Independent Sikkim to Ganju Lama by the Last Chogyal of Sikkim Palden Thondup Namgyal.